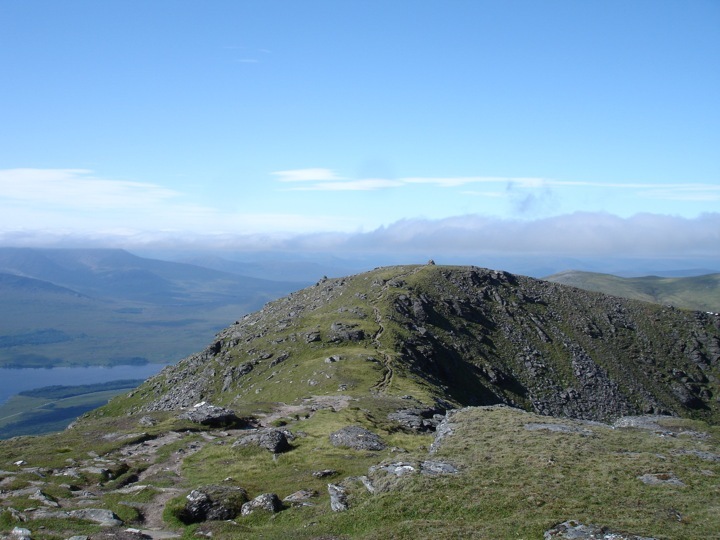 After climbing Beinn Odhar last weekend I decided to climb the next mountain to the north this weekend, Beinn Dorain. 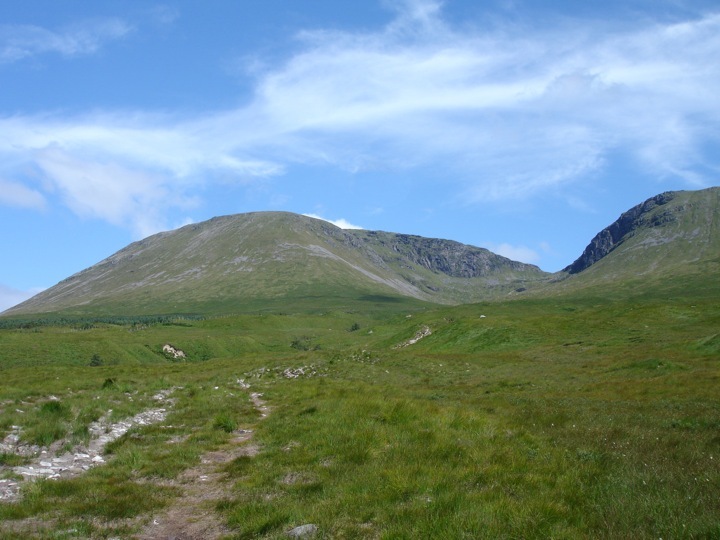 I parked next to the Bridge of Orchy Hotel and walked up to the station and through the underpass onto the West Highland Way very briefly before turning east onto the path alongside Allt Coire an Dothaidh. 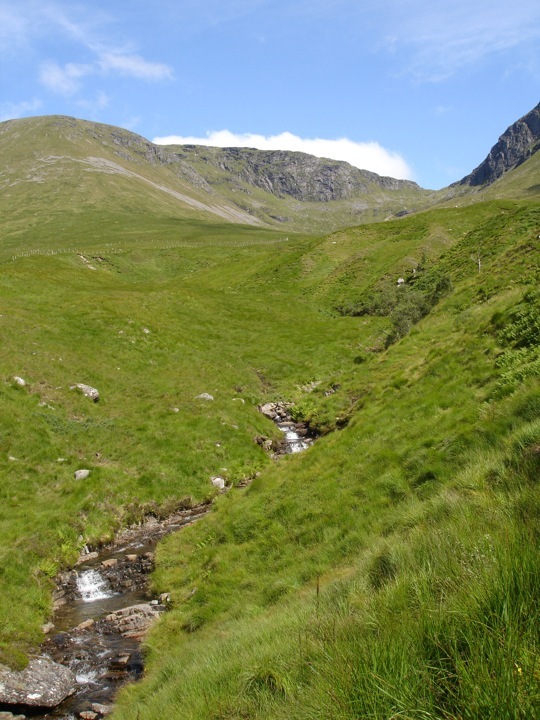 As the name suggests, Allt Coire an Dothaidh flows out of Coire an Dóthaidh, between Beinn an Dóthaidh and Beinn Dorain. 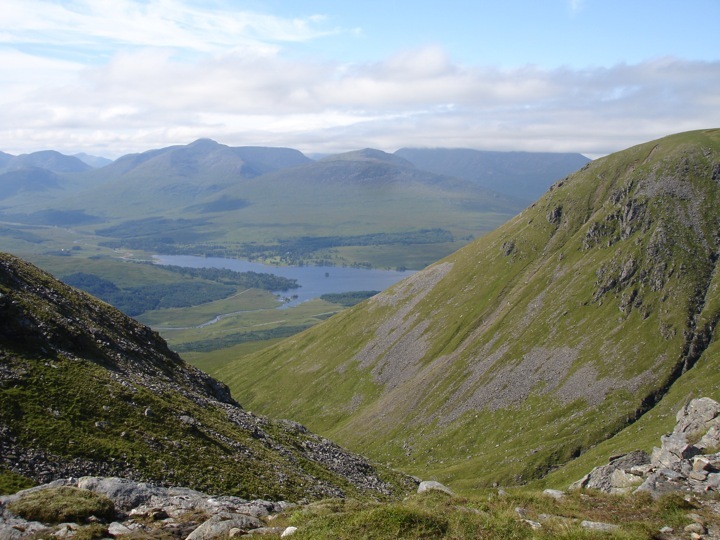 Just above that coire is Coire a’ Ghabhalaich from where there are great views across to Loch Tulla. 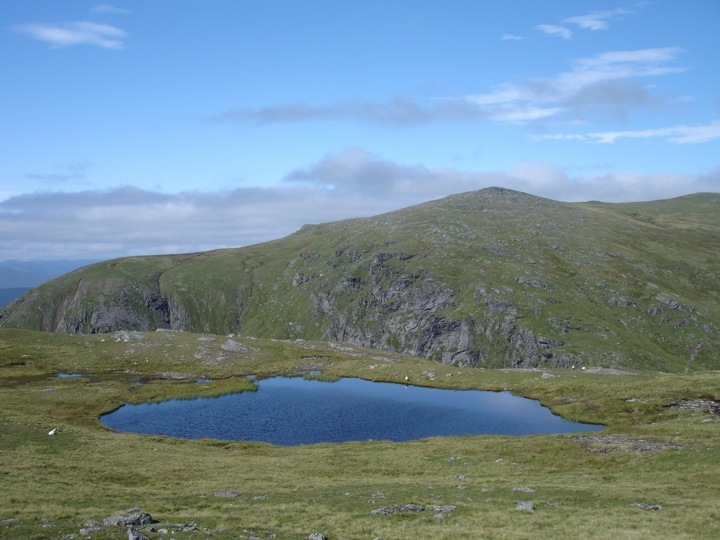 The path climbs out of Coire a’ Ghabhalaich past a lochan and onto the west edge of Beinn Dorain. 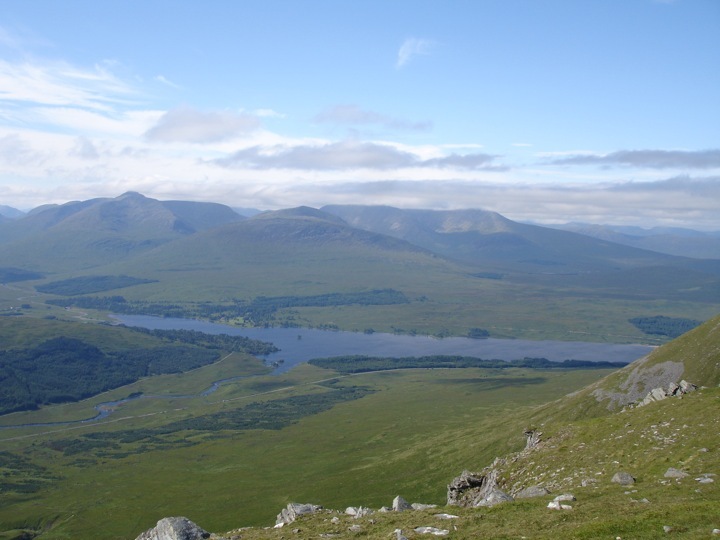 This flat terrace continues for some distance and has great views towards Loch Tulla. 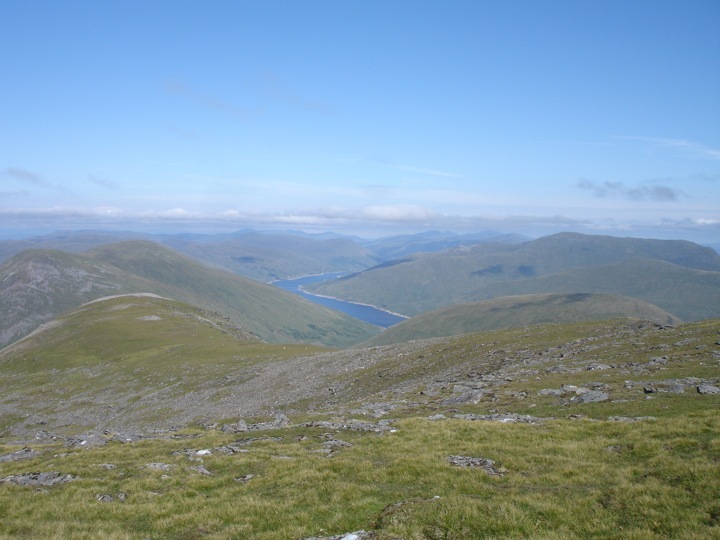 Eventually the path climbs off the terrace and onto the main ridge, which means views to the east towards Loch Lyon. 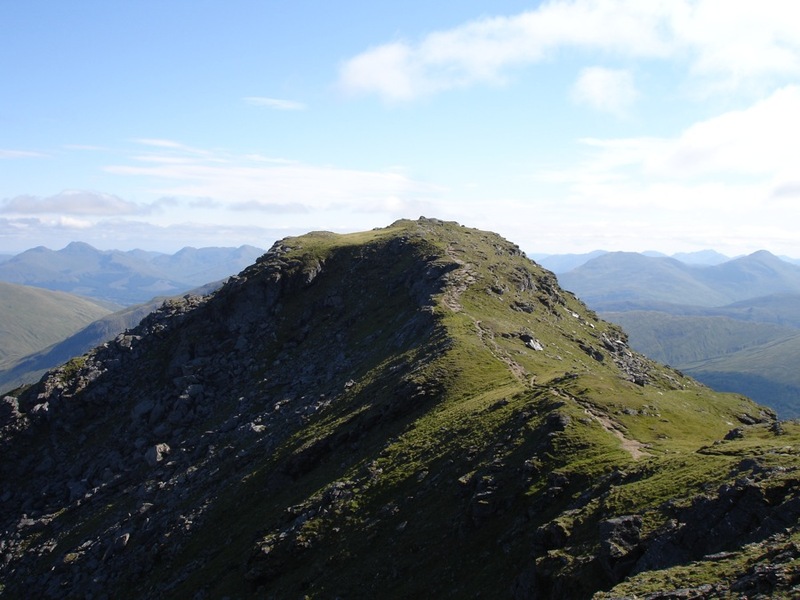 Walking along the main ridge brings you to a cairn at a false summit, then the path drops down slightly before climbing up to the real summit. 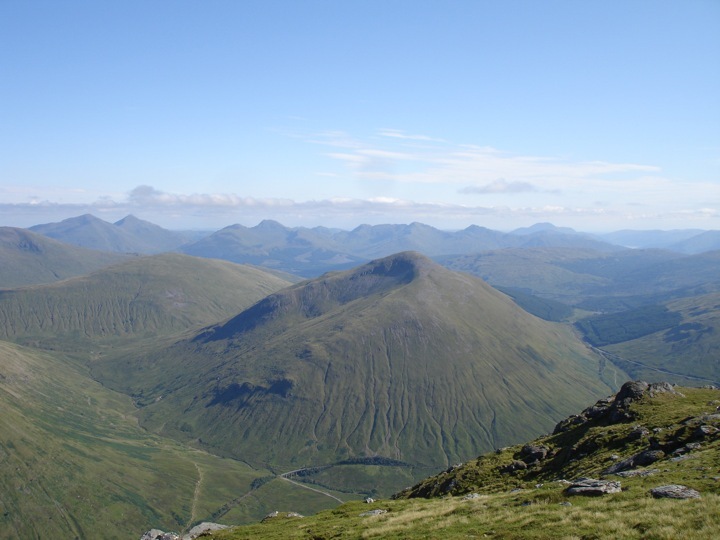 From the summit of Beinn Dorain there’s a great view down onto Beinn Odhar. I took a video to show the stunning 360 degree views. 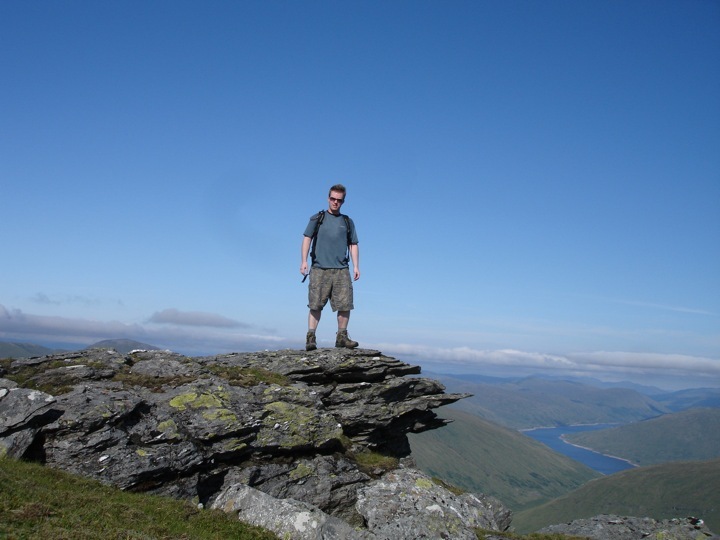 After spending a long time admiring the views in the glorious sunshine, I headed back over to the false summit. 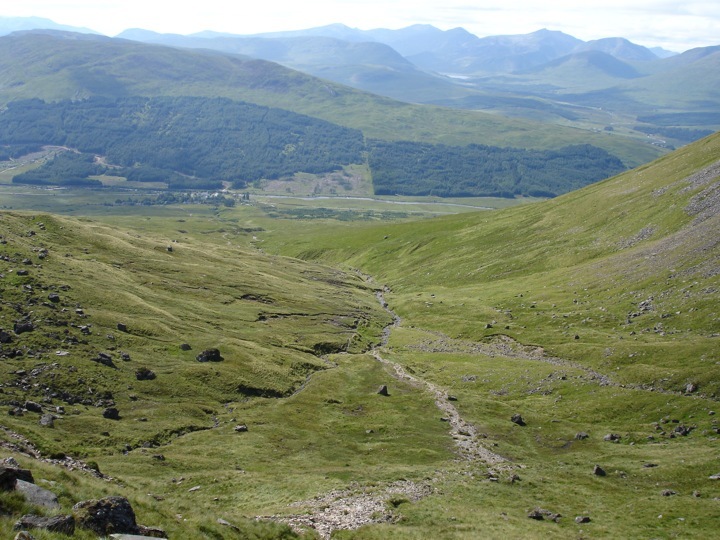 Then retraced my steps back down to Bridge of Orchy. Published on the 13th of August 2006 at 10:03 pm. Updated on the 4th of June 2017 at 11:15 pm.